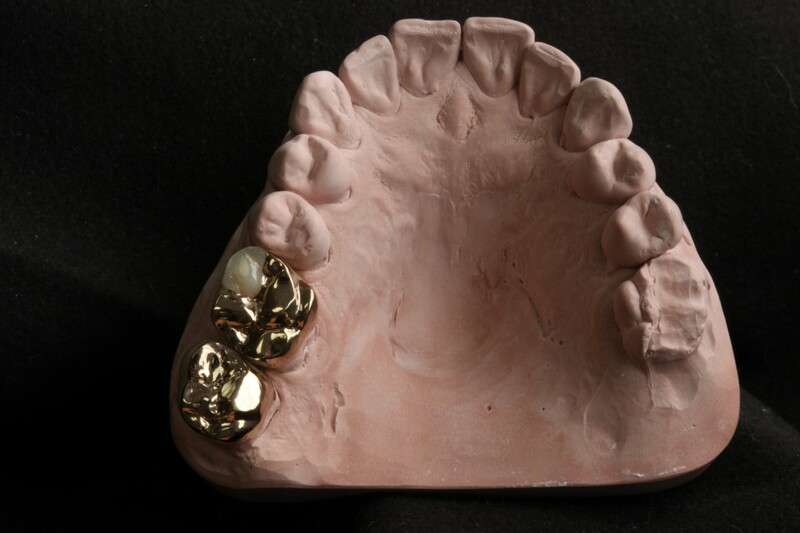 This set of photos depicts the accuracy of well-designed posterior Gold work. 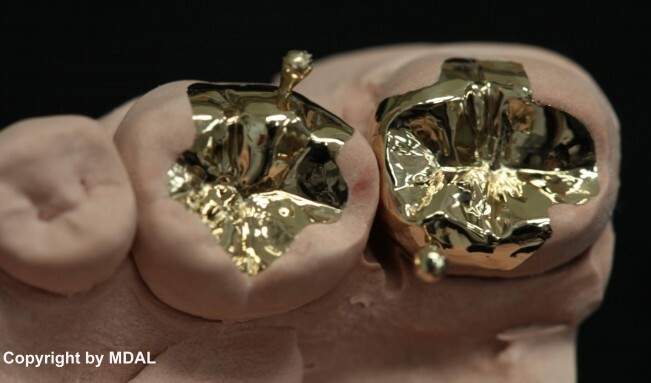 Gold restoration can be like jewelry in the oral cavity. The little handles were removed after the final insertion. 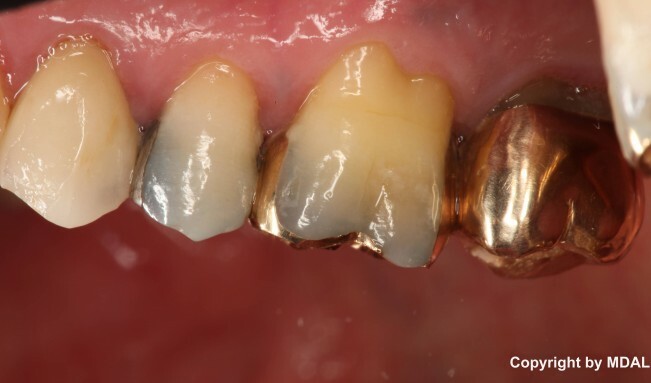 The clinical photos are in-situ between 10 and 20 years and showing no signs on any clinical failure. I have worked with Martin and his team for three years now. 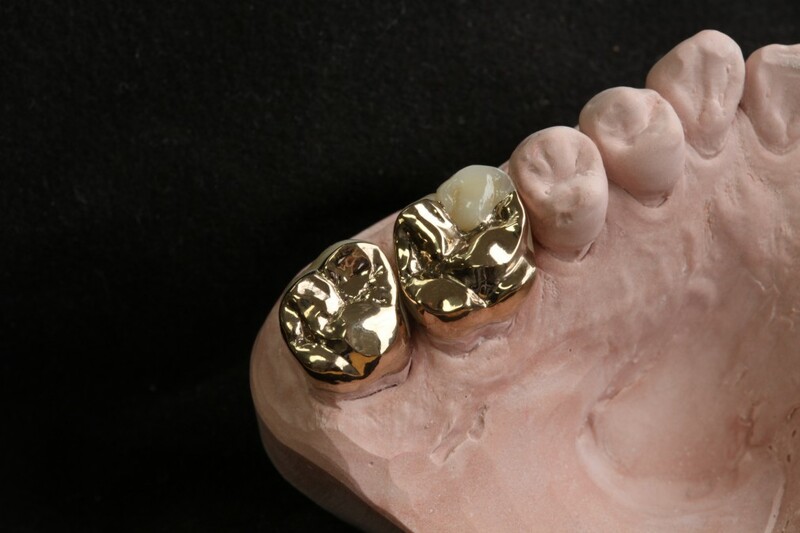 The group at Mueller’s Dental Arts Laboratory are more than technicians; they are artists. 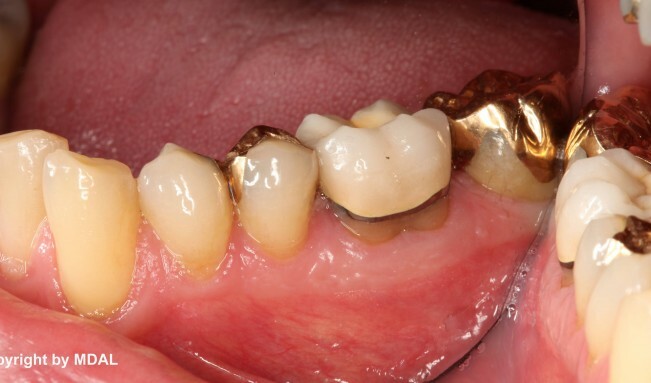 If you want anterior restorations (any material) to disappear amongst natural teeth then look no further. 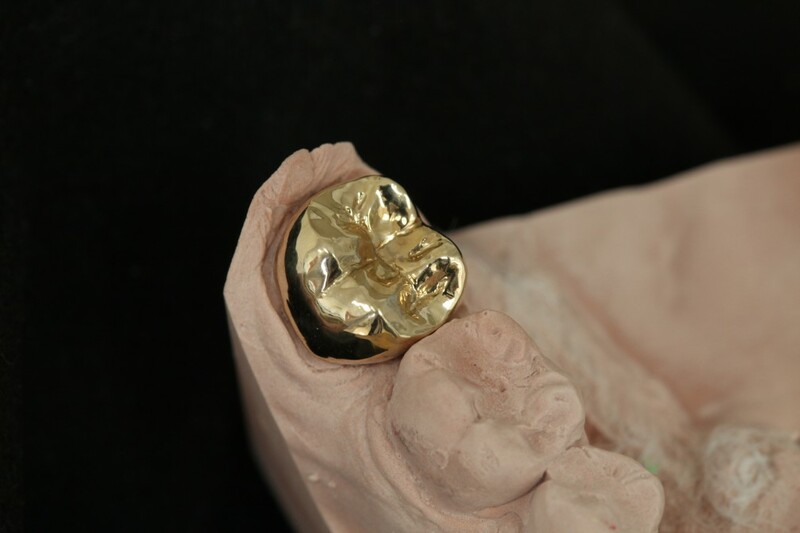 They are a highly skilled group of technicians.